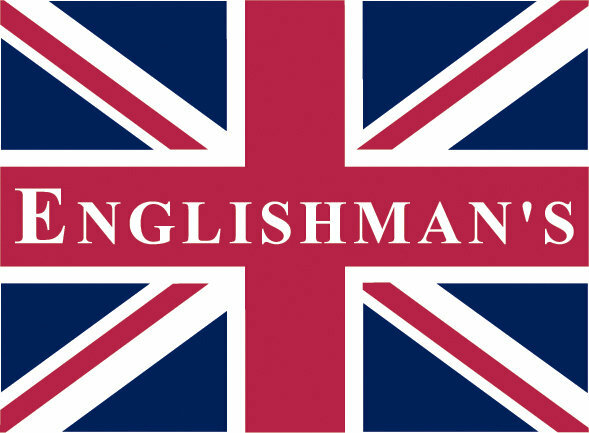 Charles Ashton Collection Exclusively from Englishman's. This collection is manufactured from beechwood then stained & finished to a rich European Cherry or Oak color. 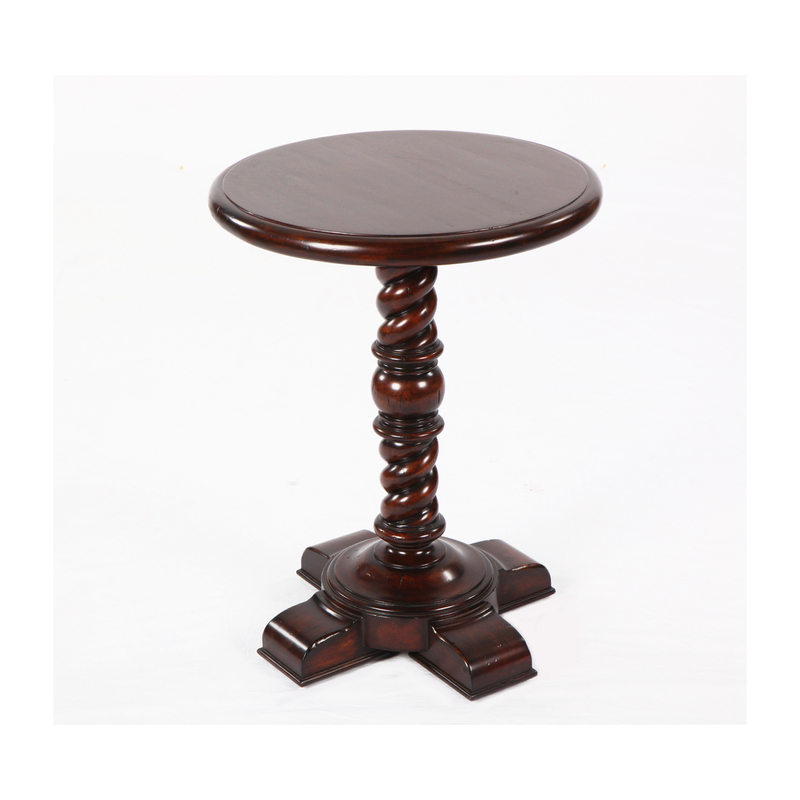 Rich European Cherry finish round side table on turned balustrade. This table is from our Charles Ashton European Colonial Collection, exclusive to Englishman's . Rich European Cherry finish square side table on turned balustrade. 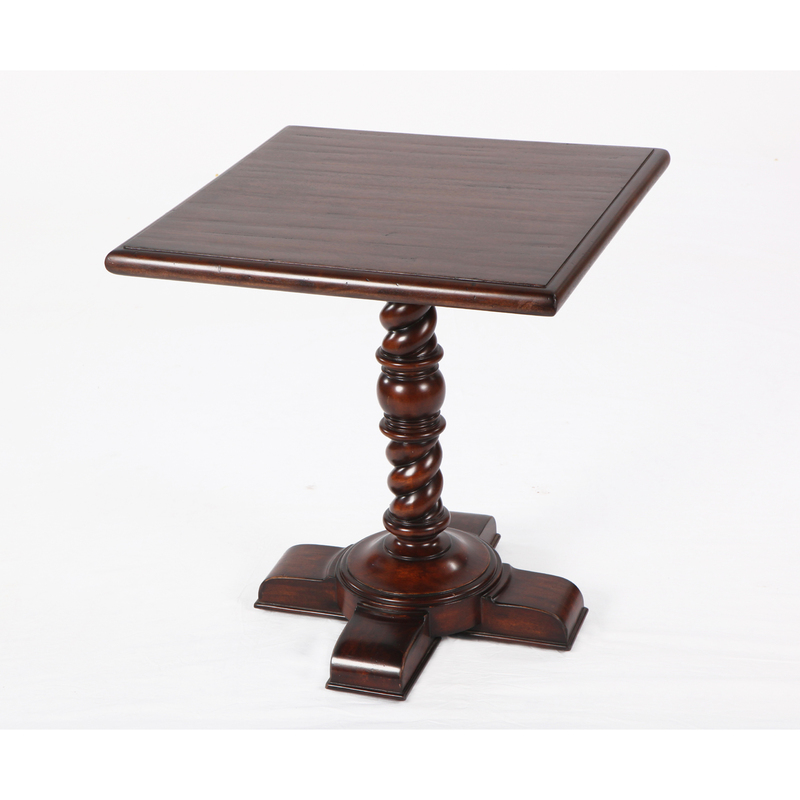 This table is from our Charles Ashton European Colonial Collection, exclusive to Englishman's . Rich European Cherry finish 66" round on 4 turned balustrades dining table. Also Available in a 72" round. 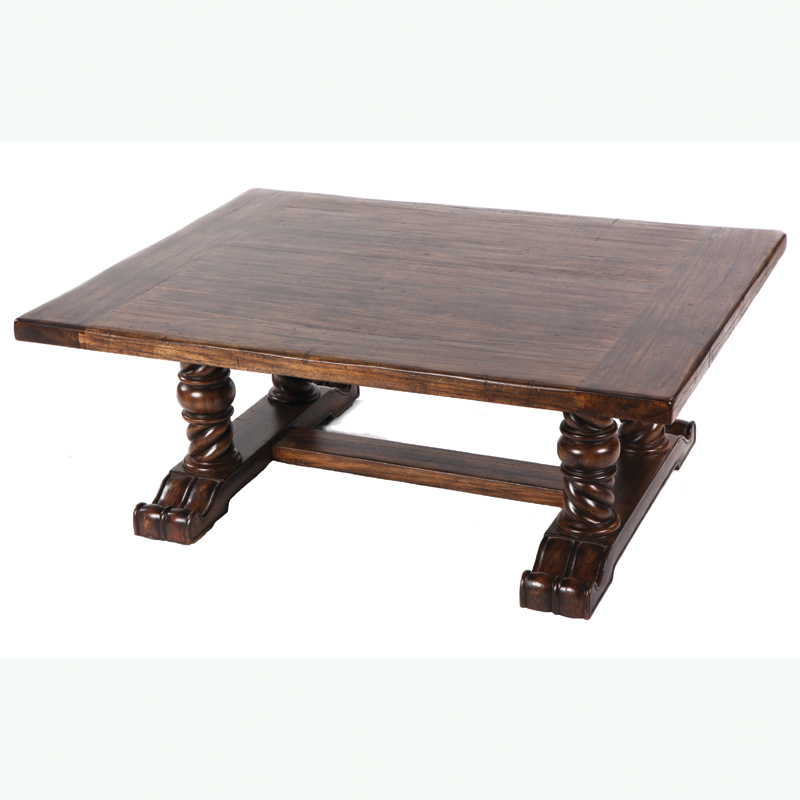 This table is from our Charles Ashton European Colonial Collection, exclusive to Englishman's . Rich European Cherry finish 72" round on 4 turned balustrades dining table. Also Available in a 66" round. 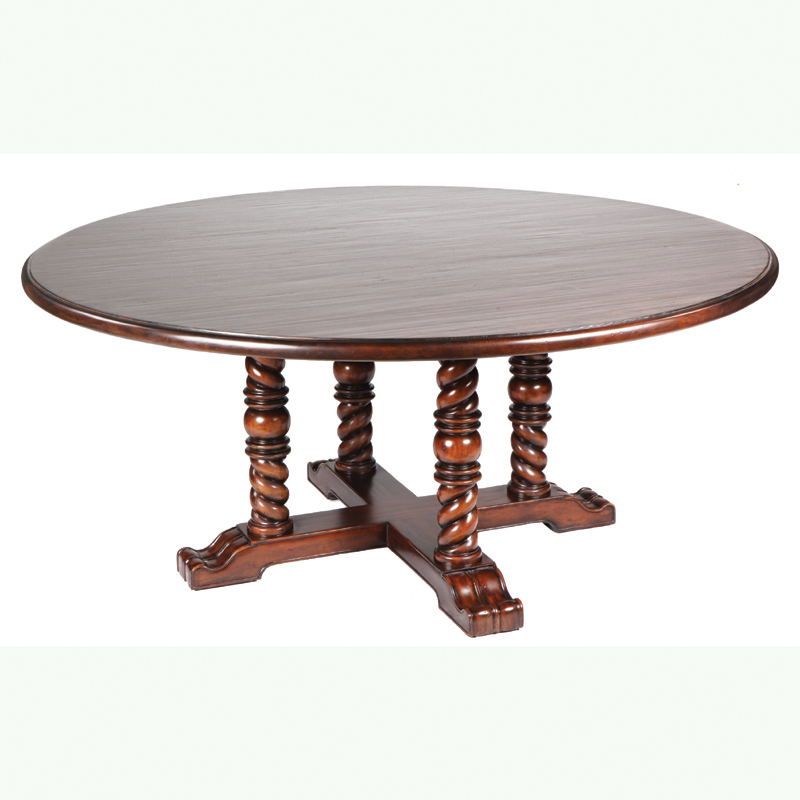 This table is from our Charles Ashton European Colonial Collection, exclusive to Englishman's . 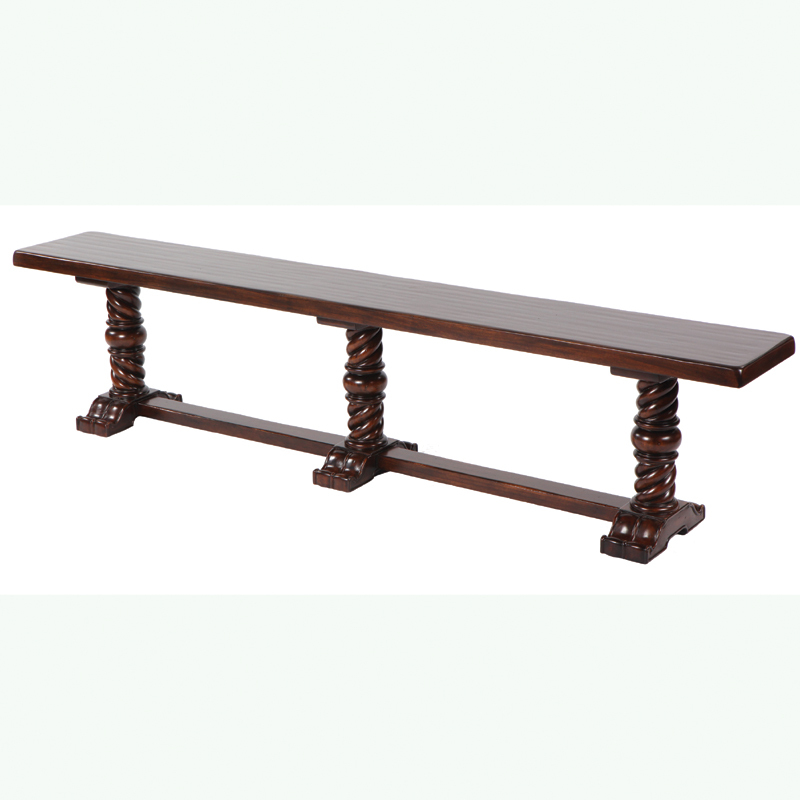 Rich European Cherry finish backless bench on turned balustrades. 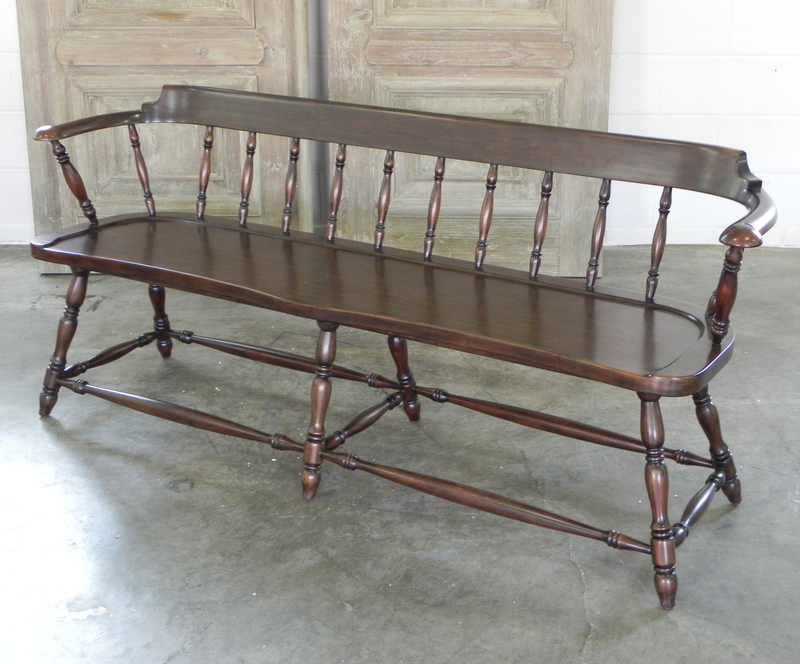 This bench is from our Charles Ashton European Colonial Collection, exclusive to Englishman's . Rich European Cherry finish Bar table table on turned balustrades. 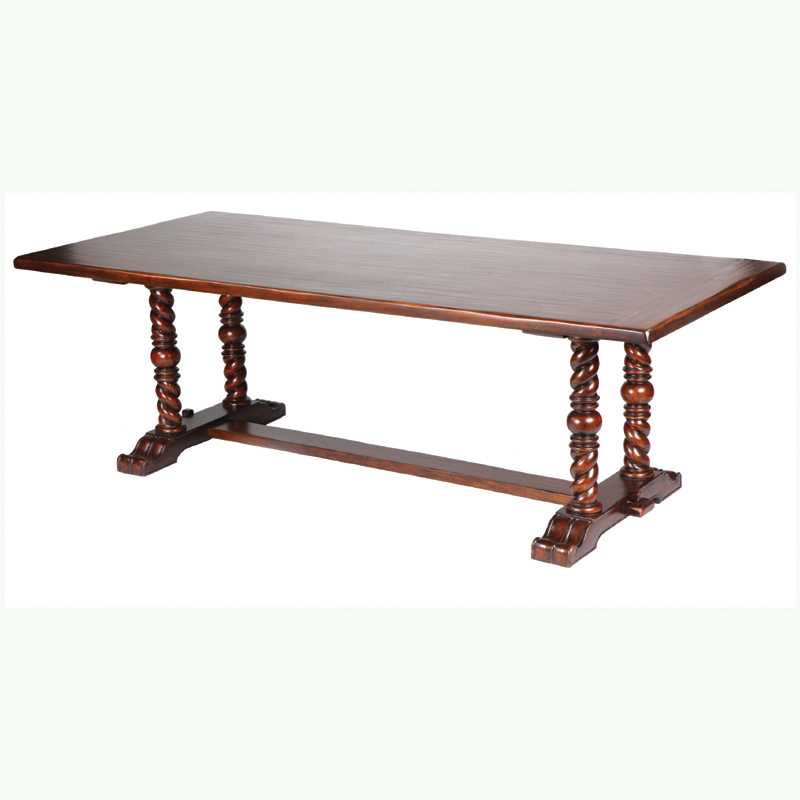 This table is from our Charles Ashton European Colonial Collection, exclusive to Englishman's . Rich European Cherry finish cocktail/coffee table on turned balustrades. 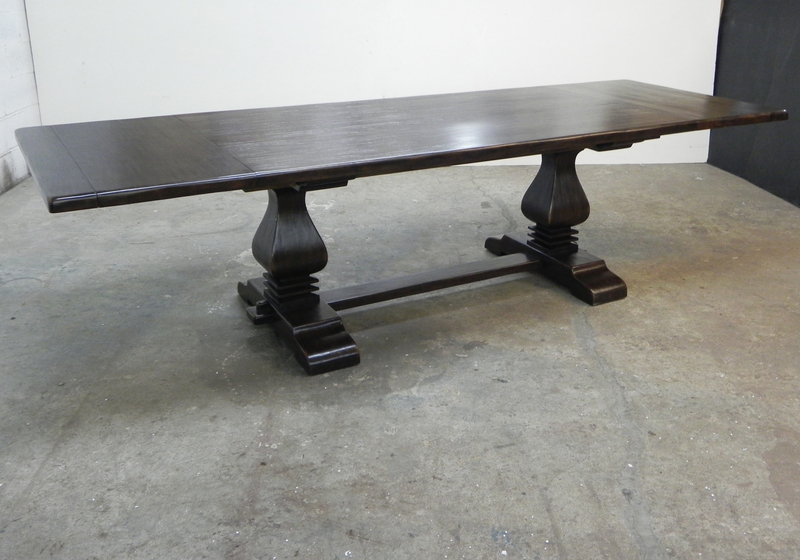 This table is from our Charles Ashton European Colonial Collection, exclusive to Englishman's . 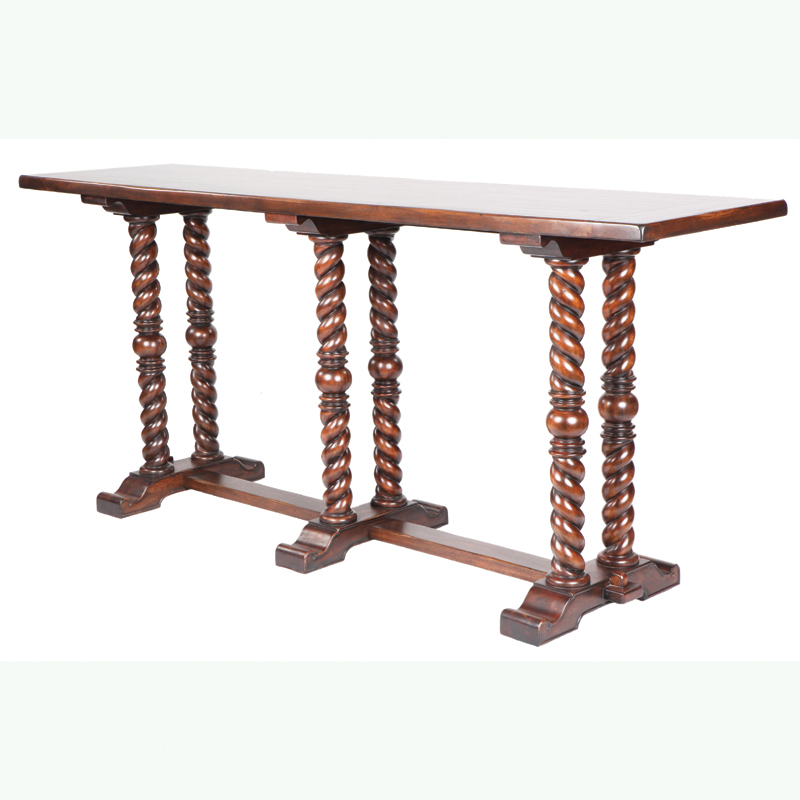 Rich European Cherry finish trestle base refectory dining table on turned balustrades. 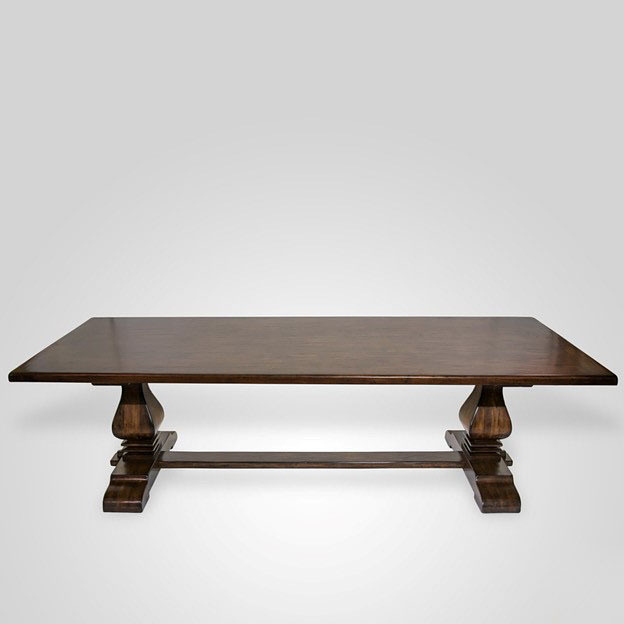 This table is from our Charles Ashton European Colonial Collection, exclusive to Englishman's . 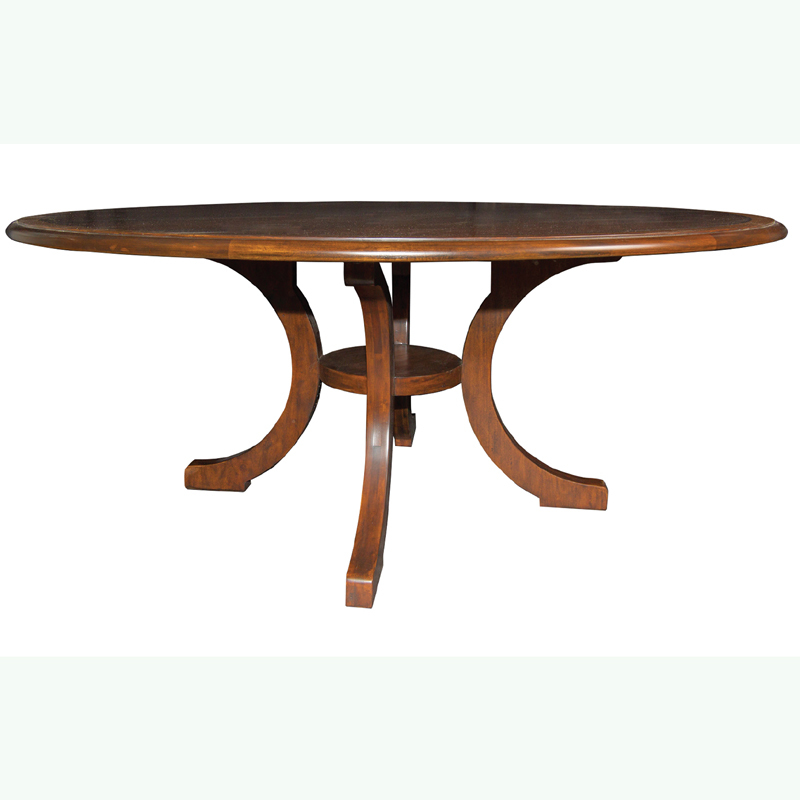 European light cherry finish, cross banded 60" round "C" leg extending dining table with two 18" leaves. This table is from our Charles Ashton Dining Collection, exclusive to Englishman's. European oak finish high back settle. This settle is from our Charles Ashton Dining Collection, exclusive to Englishman's. 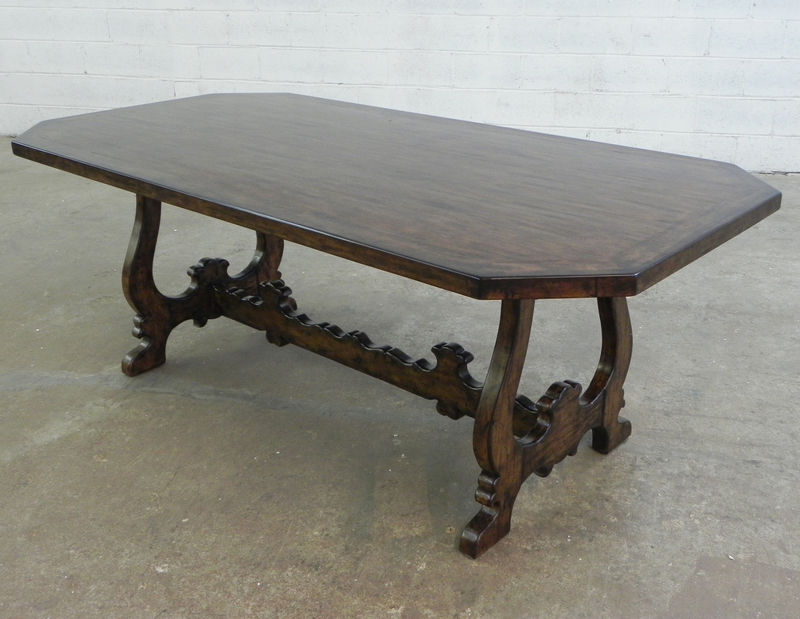 European oak finish trestle base refectory dining table with square posts. This table is from our Charles Ashton Dining Collection, exclusive to Englishman's. European walnut finish French Country style 3 drawer console table. 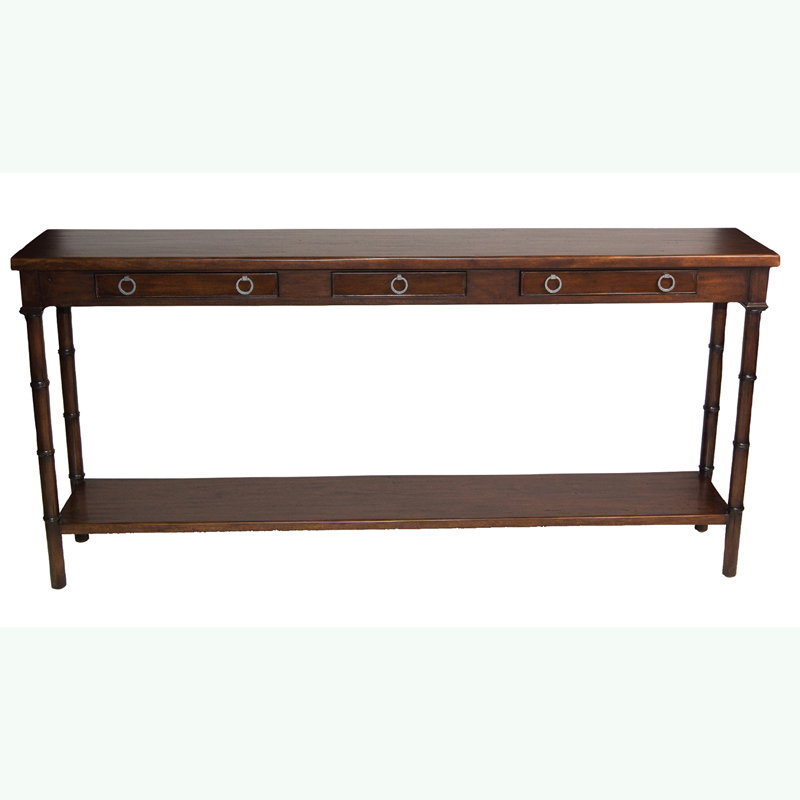 This console is from our Charles Ashton Collection, exclusive to Englishman's. 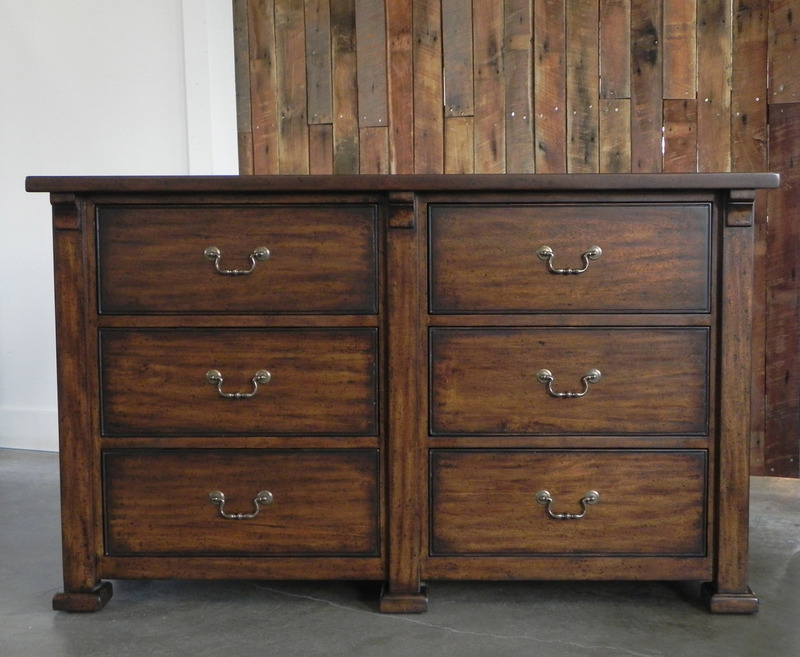 European walnut finish 6 drawer chest. 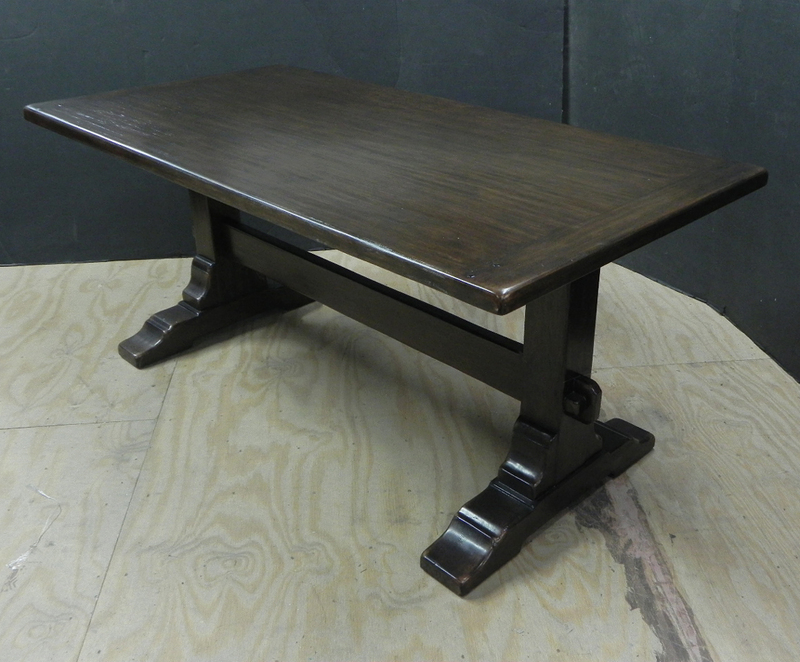 This table is from our Charles Ashton Collection, exclusive to Englishman's. 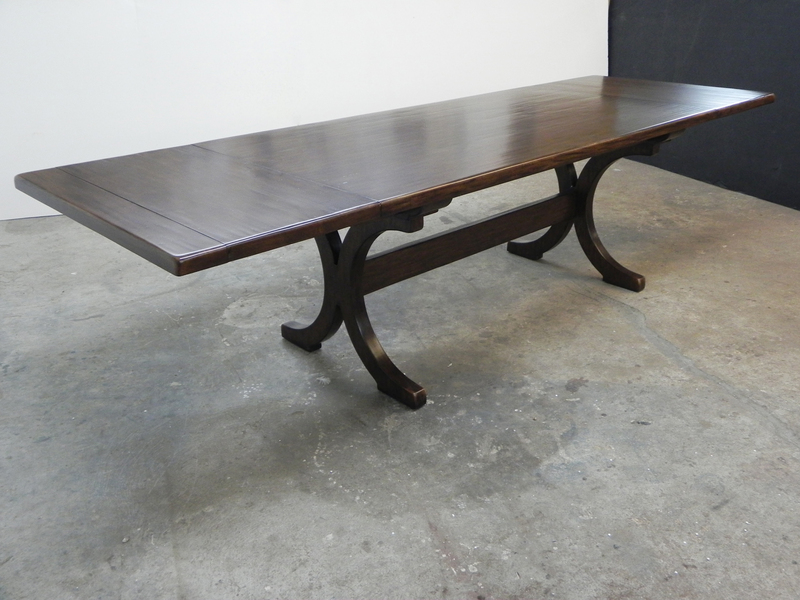 European walnut finish Tuscan leg dining table. 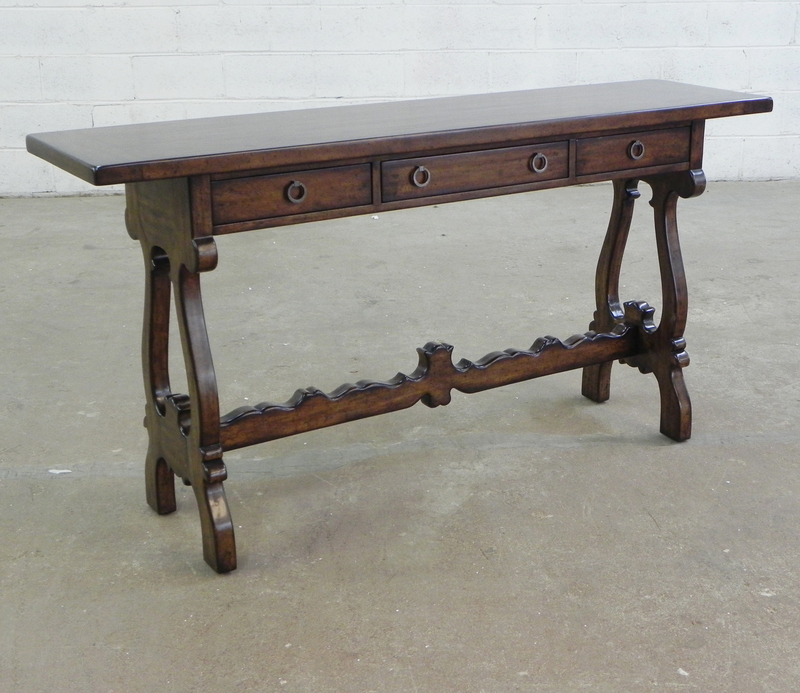 This table is from our Charles Ashton Collection, exclusive to Englishman's. European walnut finish French Country style dining table with canted corners. This table is from our Charles Ashton Collection, exclusive to Englishman's. 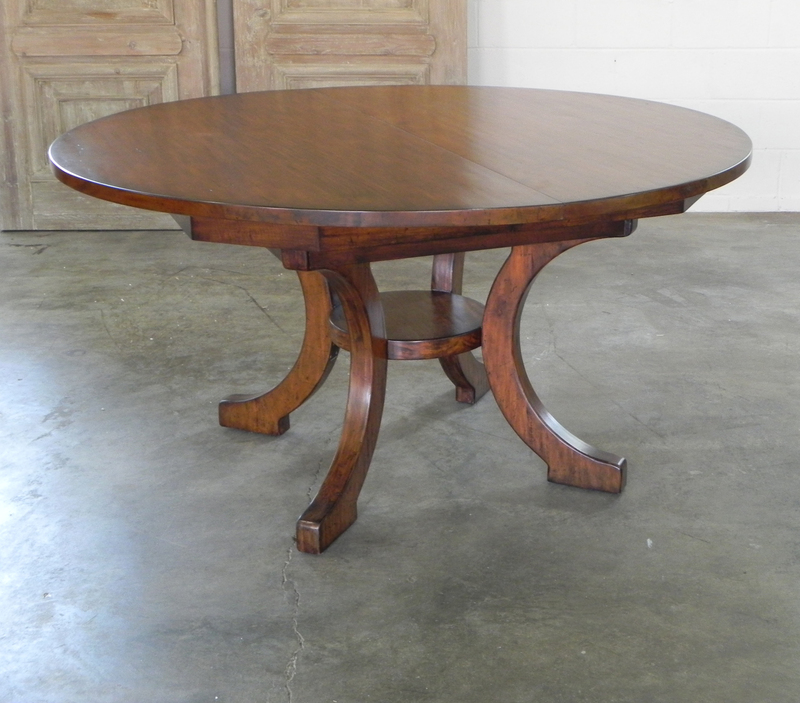 European cherry finish, cross banded 72" round "C" leg dining table. This table is from our Charles Ashton Dining Collection, exclusive to Englishman's. European cherry finish "C" leg bench. 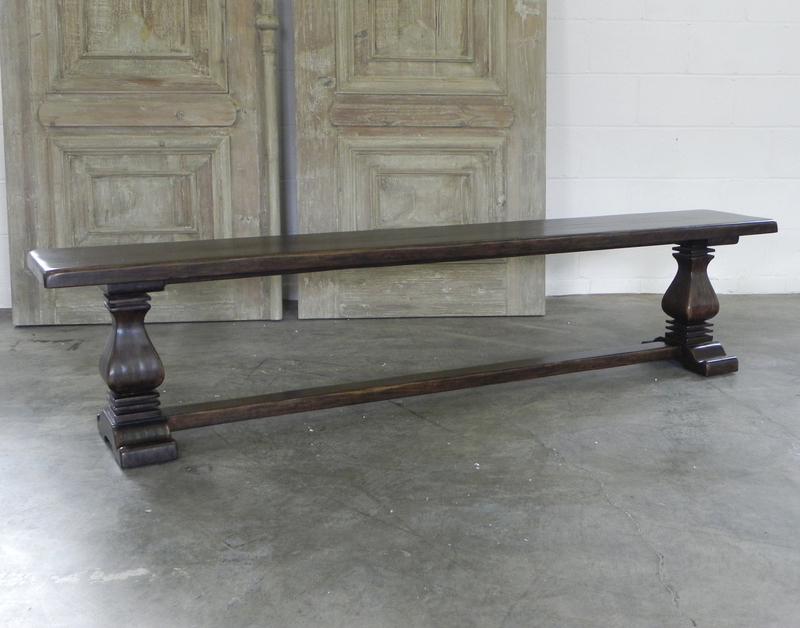 This bench is from our Charles Ashton Dining Collection, exclusive to Englishman's. European cherry finish Captain's Bench with wooden seat. 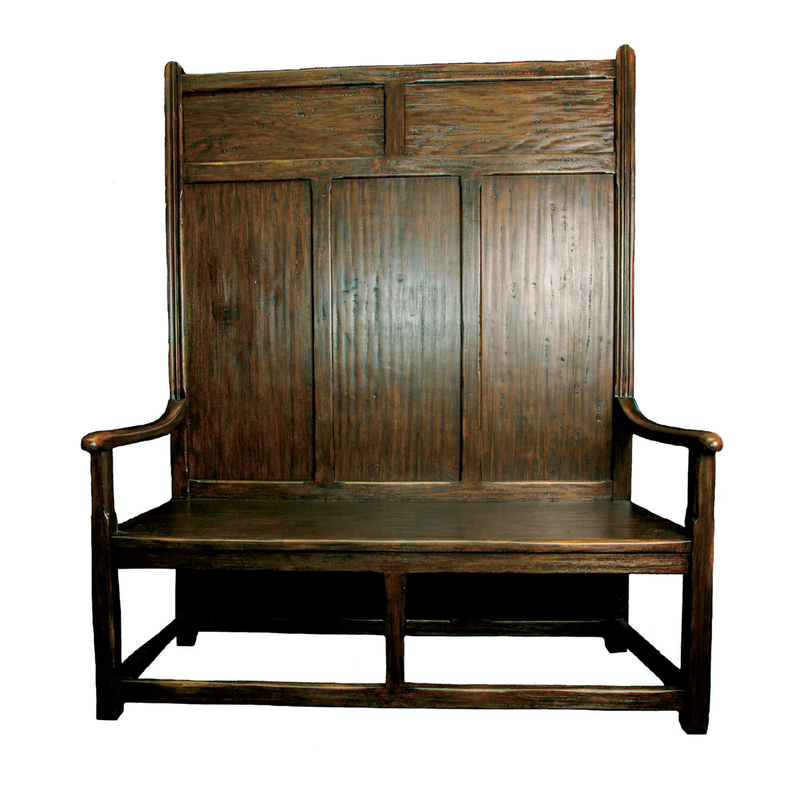 This bench is from our Charles Ashton Seating Collection, exclusive to Englishman's. 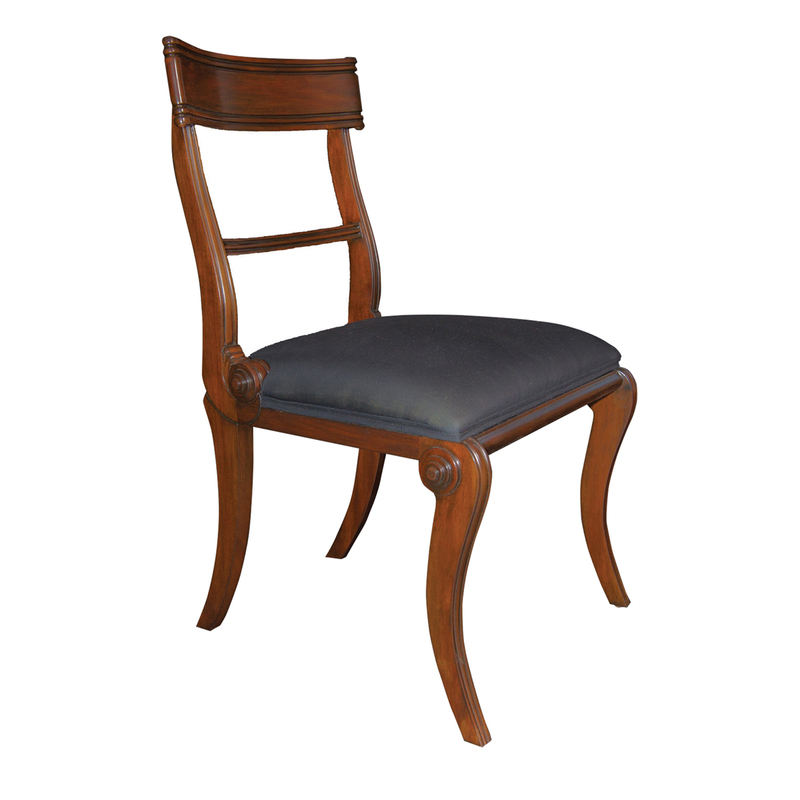 European cherry finish Regency style side chair with upholstered seat. 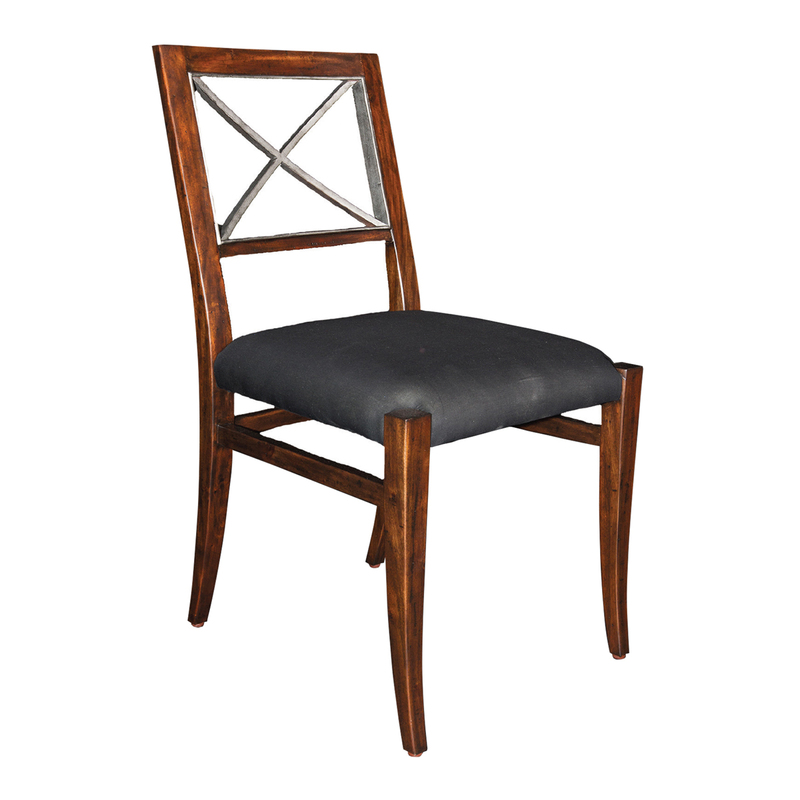 This chair is from our Charles Ashton Dining Collection, exclusive to Englishman's. European cherry finish X back arm chair with rush seat. Matching side chair also available, item 17482. 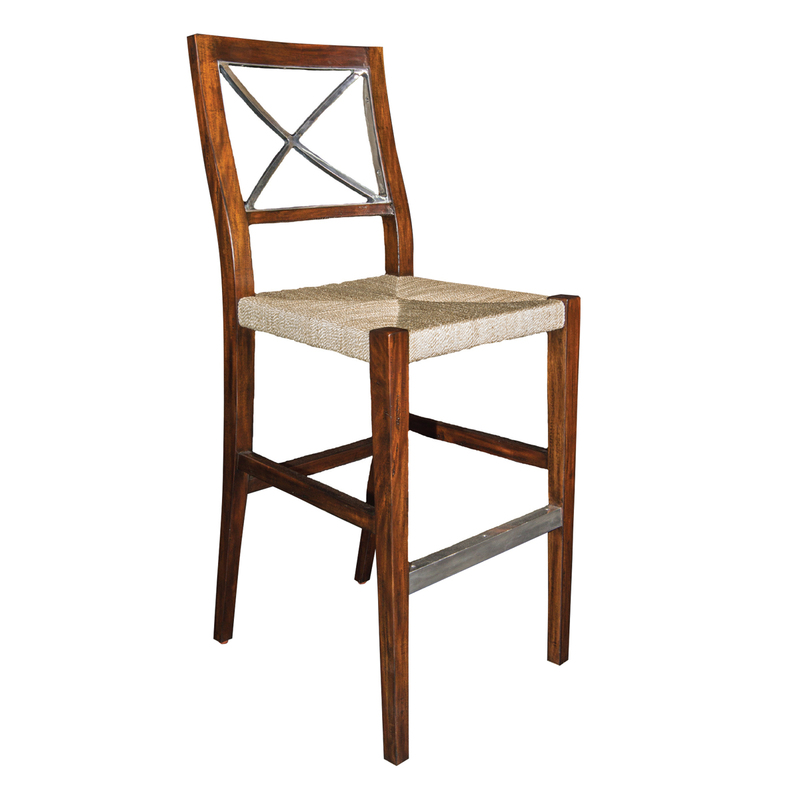 This chair is from our Charles Ashton Dining Collection, exclusive to Englishman's. European cherry finish X back arm chair with upholstered seat. Matching side chair also available, item 17482UP. 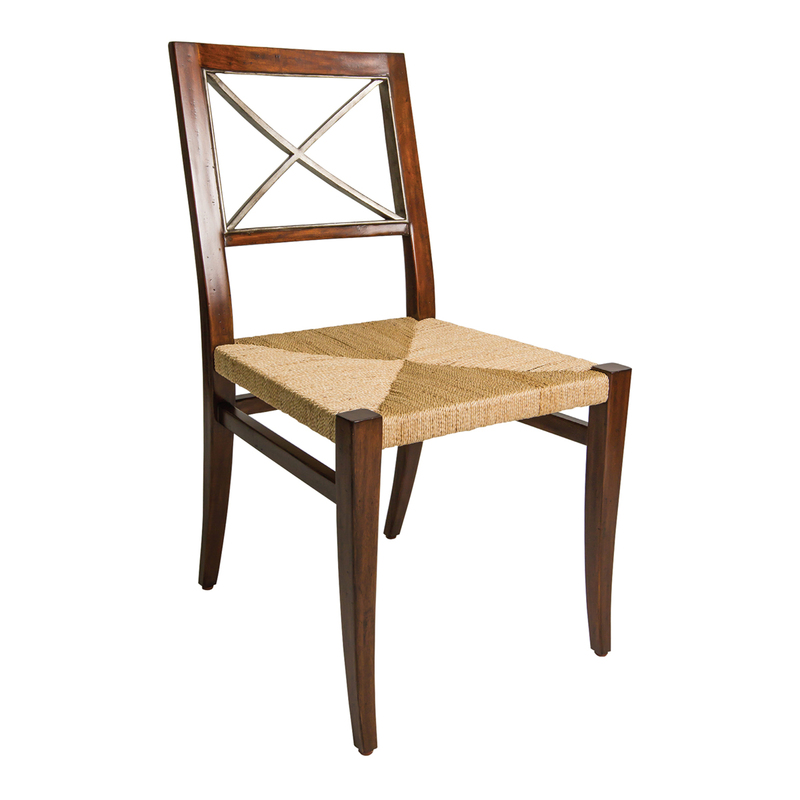 This chair is from our Charles Ashton Dining Collection, exclusive to Englishman's. European cherry finish X back bar stool with rush seat. This stool is from our Charles Ashton Dining Collection, exclusive to Englishman's. European cherry finish X back side chair with rush seat. Matching arm chair also available, item 17483. 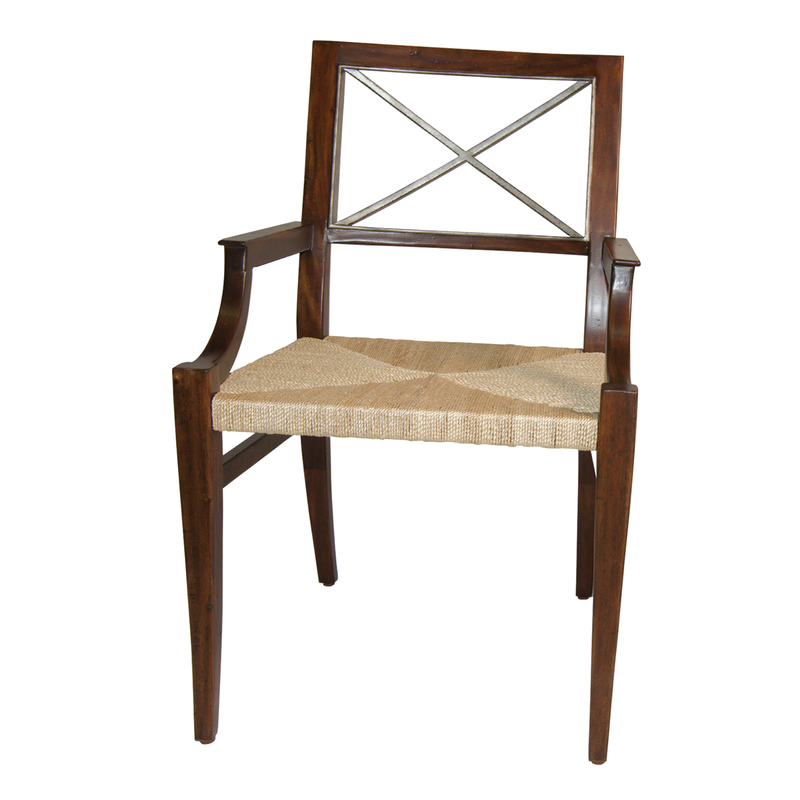 This chair is from our Charles Ashton Dining Collection, exclusive to Englishman's. European cherry finish X back side chair with upholstered seat. Matching arm chair also available, item 17483UP. 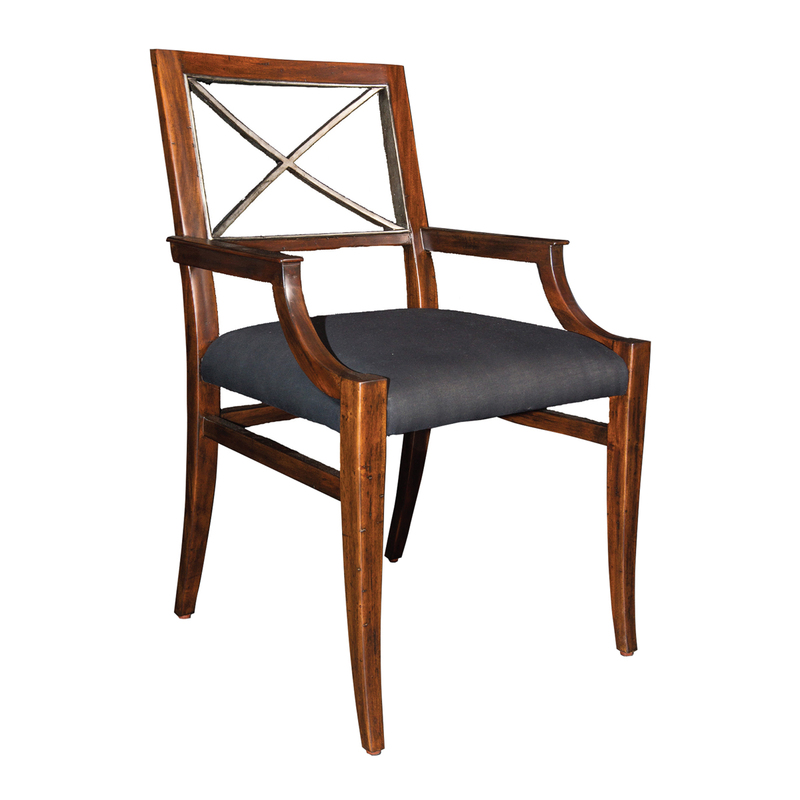 This chair is from our Charles Ashton Dining Collection, exclusive to Englishman's. European cherry finish extending "C" leg dining table with two 18" leaves. The breadboard ends easily slide out to drop in table leaf. This table is from our Charles Ashton Dining Collection, exclusive to Englishman's. European cherry finish 3 drawer sofa table with faux bamboo legs. This sofa table is from our Charles Ashton Dining Collection, exclusive to Englishman's. European Oak finish Tuscan leg bench. 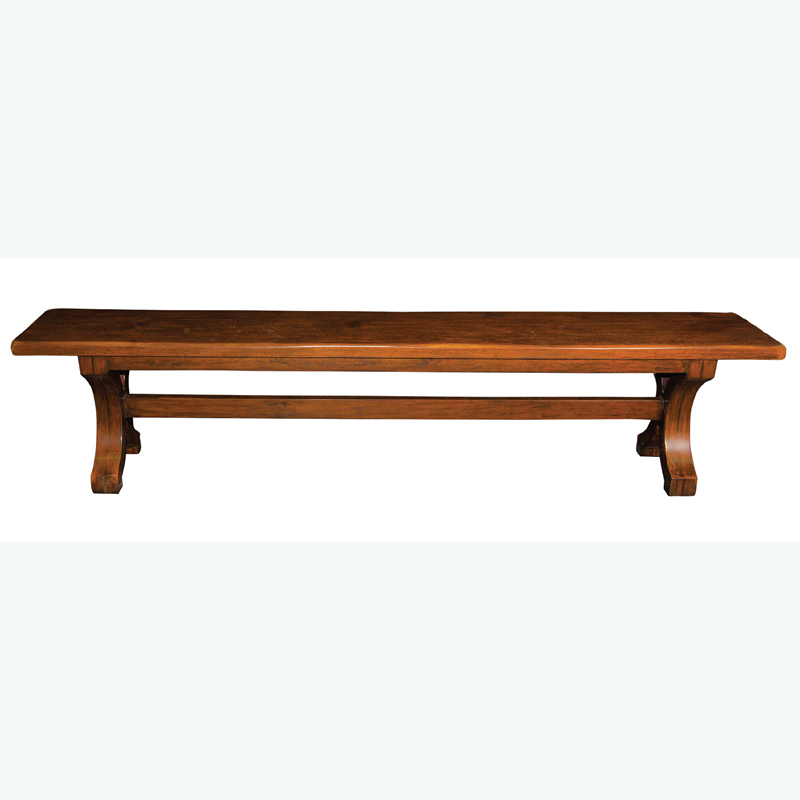 This bench is from our Charles Ashton Dining Collection, exclusive to Englishman's. European cherry finish extending Tuscan dining table with two 18" leaves. The breadboard ends easily slide out to drop in table leaf. This table is from our Charles Ashton Dining Collection, exclusive to Englishman's.